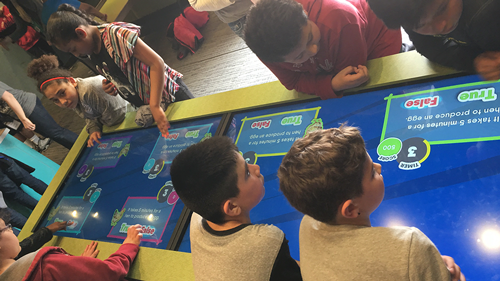 Truckin’ Through Nebraska is a fun, hands-on children’s museum experience created for the kids of Nebraska in honor of the 150th anniversary of statehood. 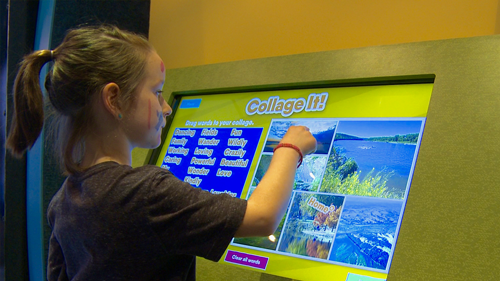 It provided a unique, entertaining and unforgettable learning experience to thousands of children living in areas of the state without their own children’s museum. 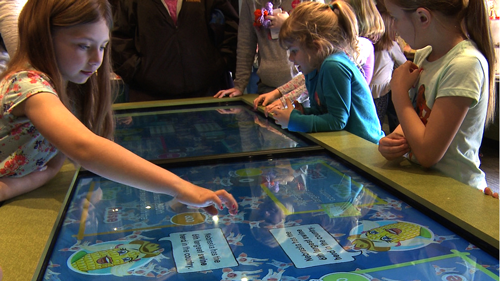 The exhibit components are now at the Omaha Children’s Museum. When the State of Nebraska was making plans to celebrate their 150th anniversary of statehood they had a problem: the state has lots of small towns sprinkled far and wide across the landscape. How could they include everyone in the state, even those in small, far-off places, in the anniversary celebration? And especially small children, some of whom have never ever seen a museum? 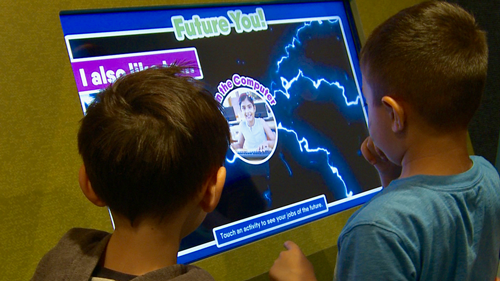 The solution was to create a mobile exhibit that could go to them. The result is spectacular. Working with Kraemer Design and Production, MRA, Heartland Scenic Studios, and Trieschman Exhibit Development, we developed several computer-based interactives aimed at kids four to ten. Even pre-literate children can play. Agri-Quest is a multi-player game that solved the problem of communicating often dry and boring facts and information about NE’s largest and most important industry, agriculture, in a fun and memorable way. 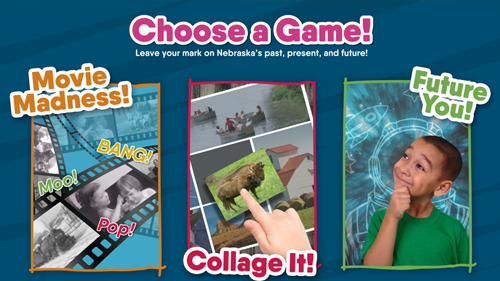 My Nebraska enables kids to think about Nebraska’s past, present and future. A future with them in it. 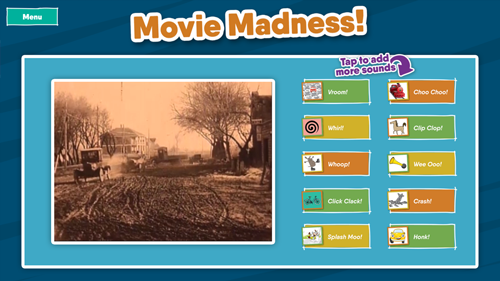 Movie Madness! lets kids learn about what life in the state was like in the past. 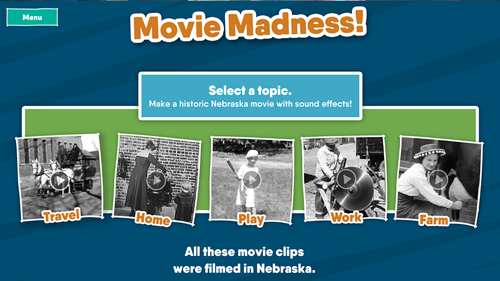 As they add sound effects to archival film clips of Nebraska in the early 20th century, they see what daily life was like for their grandparents. Collage It! 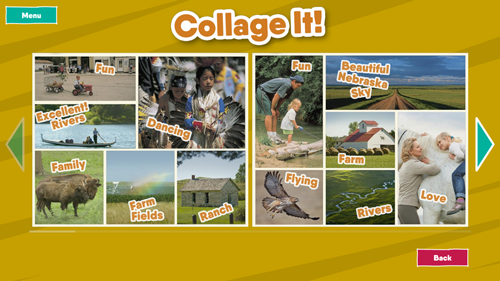 lets kids reflect on what their Nebraska is like and what Nebraska means to them. 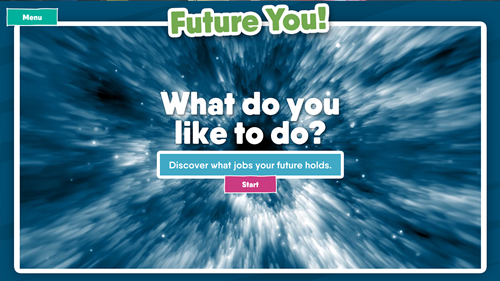 Future You! 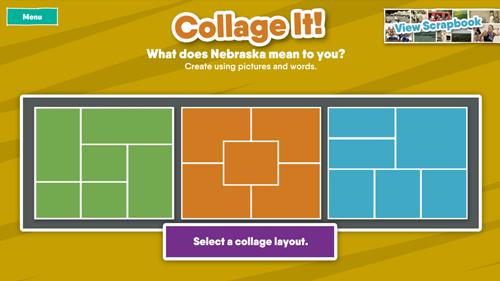 is a fun way to get kids to see that they can be anything they want, in Nebraska.It helps them envision a future in the state. 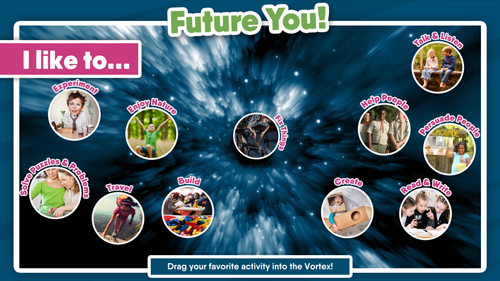 See interactive screen shots in the slider below.